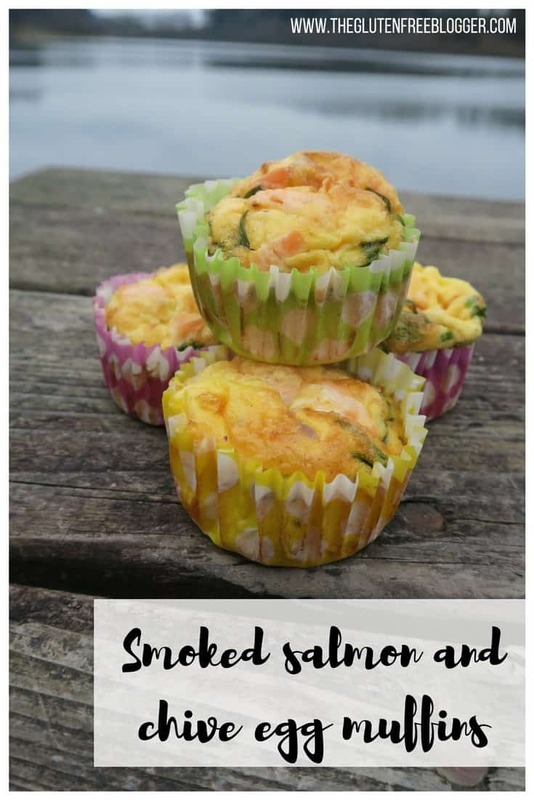 If you’re looking for a gluten free, low carb recipe, these smoked salmon and chive egg muffins are the one for you! They are super easy to make, perfect for lunchboxes, and can be eaten as a macro-friendly snack, or with salad as part of a healthy lunch! In my recipe I’ve used smoked salmon and chive, but you could easily mix this up and put whatever you like in them! I’ve been working on a series of lunch recipes after being asked for gluten free lunch ideas, and these are one of my favourites. I recommend them to all of Steve’s clients who are on macro-friendly fat-loss plans, but mainly because they’re so simple and so tasty! They are one of my faves. You really can just play around and have some fun with these! They’re macro-friendly as well which is perfect. Just change the added ingredients to suit whatever your macro needs are. So here we have it, my recipe for gluten free egg muffins. If you want to see how they’re made, I also filmed the process in my gluten free picnic vlog below, enjoy! Oh, and because I keep forgetting to add the macros to my recipes, I am going to try and do this from now on! Macros per muffin: 80 calories; 5.3g fat; 0g carbs; 7.8g protein. 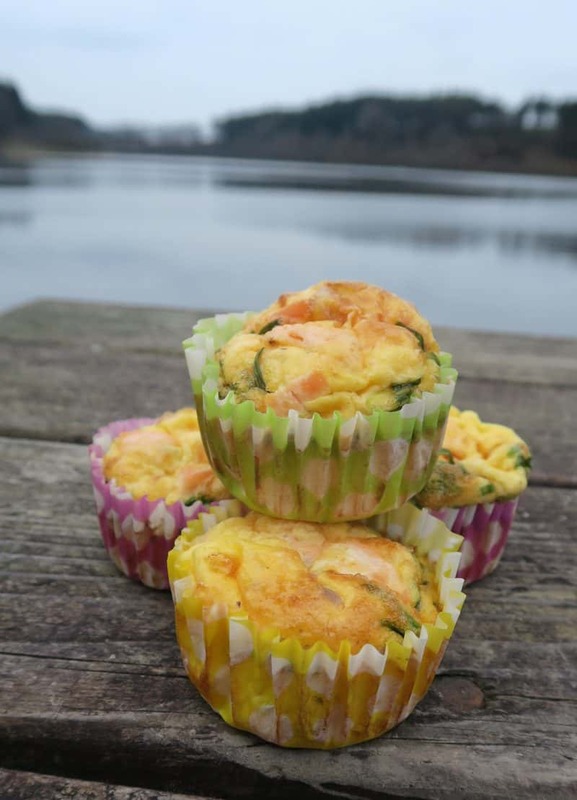 These gluten free, dairy free egg muffins are a great breakfast or lunch idea, and perfect for packing in a gluten free picnic. Preheat the oven to 180'C / Gas 4. 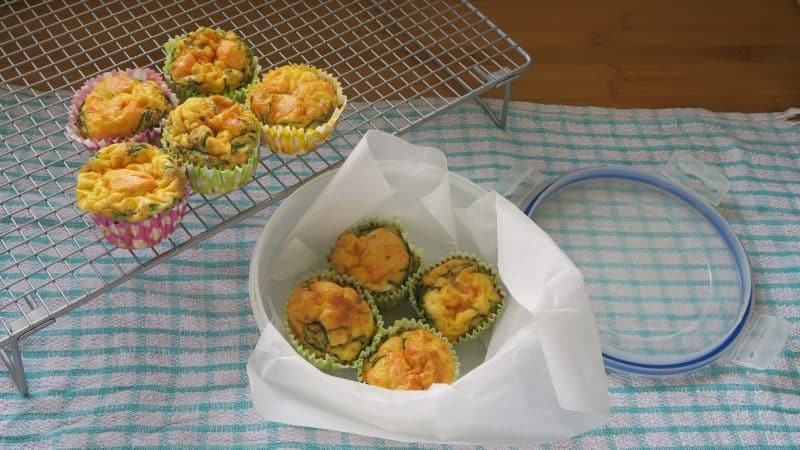 Fill a muffin tin with paper cases or alternatively, spray with a little oil to avoid the egg muffins sticking. Add the eggs to a measuring jug and whisk up. Then add the salmon flakes. Mix well. Chop the chives into small pieces and add to the mix, then season with salt and pepper. Split the egg mixture evenly between the cases. Place in the oven and bake for 15 minutes. They're done when you put a knife in the middle and it comes out clean. Cool on a wire rack or enjoy hot! Will keep in a sealed container in the fridge for 2-3 days. I’d love to see your creations if you give this a go – you can share them in my Facebook group or tag me on Instagram! I’ll always share your photos when you make my recipes! I’ve only ever made these with vegetables, I’ve not thought about using salmon or other ingredients! These sound delicious!